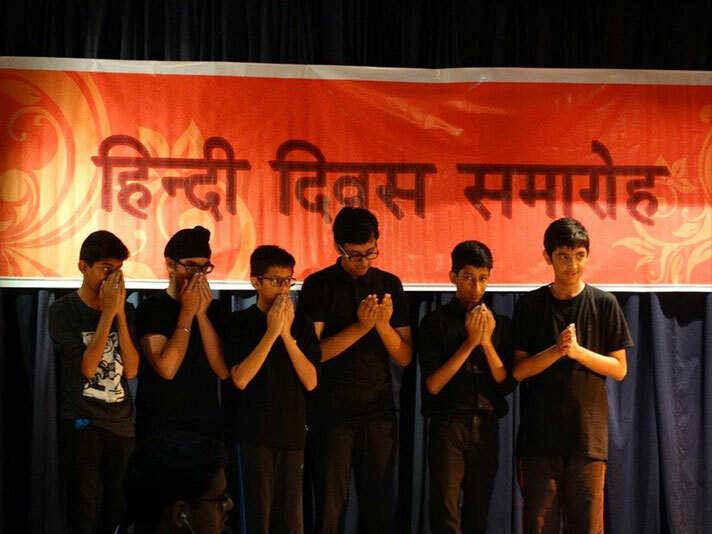 This year the students celebrated Hindi Diwas on 16 August 2018. 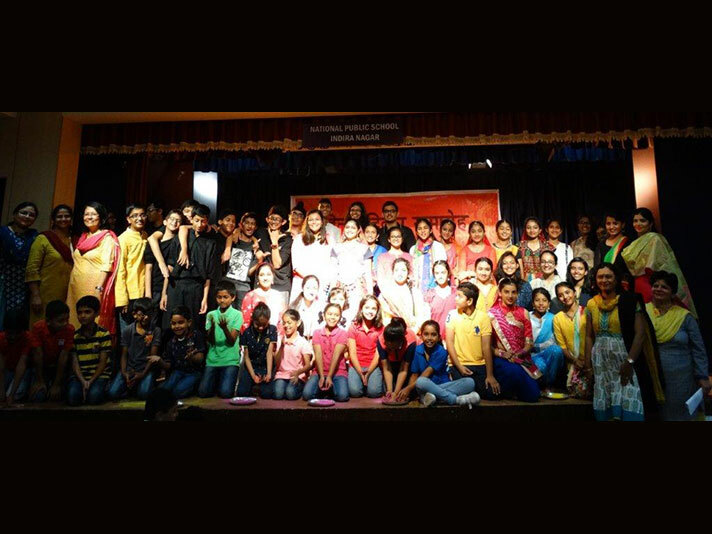 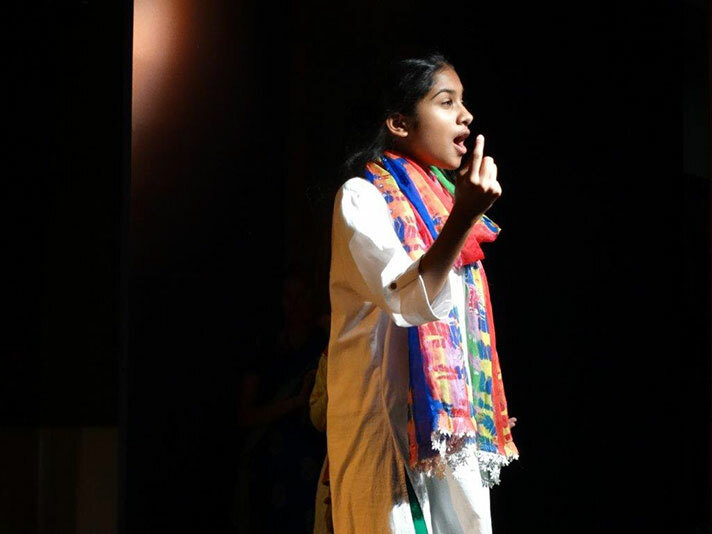 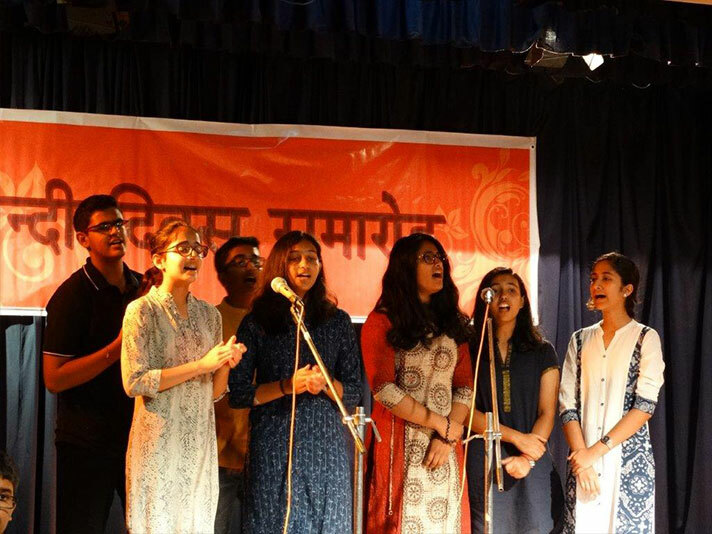 After days of continuous hard work and dedication of the students and teachers, the whole event came together and was able to portray the significance of this widely known and spoken language- Hindi. 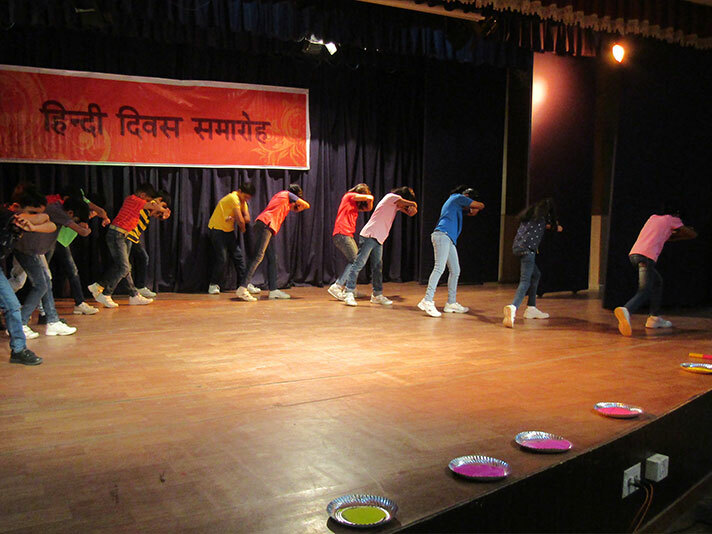 The event started with a skit ‘atithi devo bhava’ portraying the importance of Hindi language and how English has captivated the youth of India. 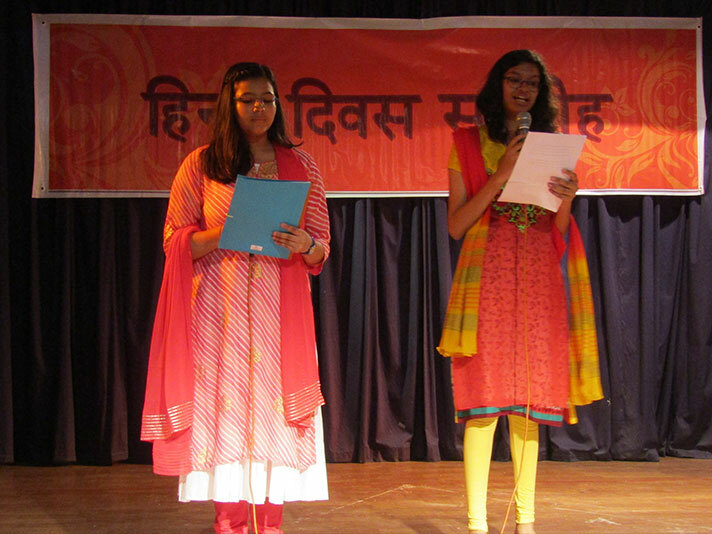 The expressive actors and voiceovers of classes 9 and 10 participated in this skit. 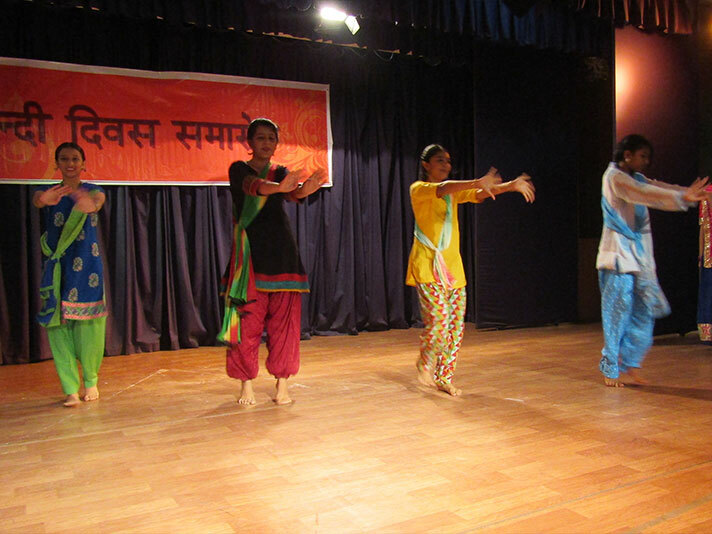 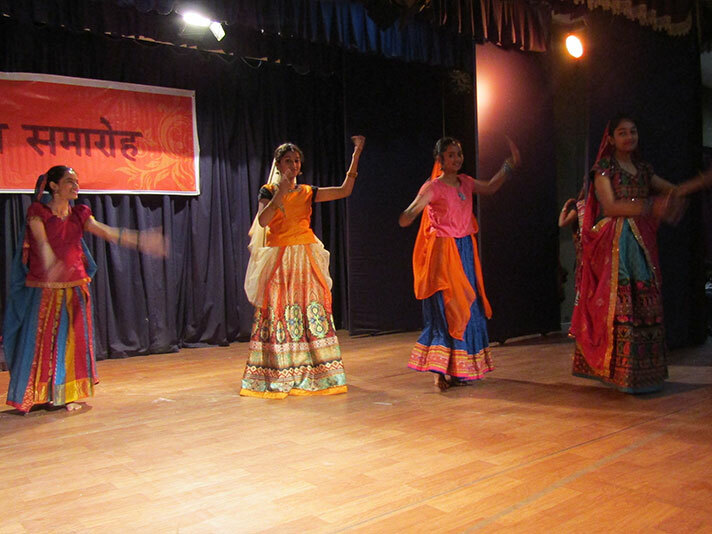 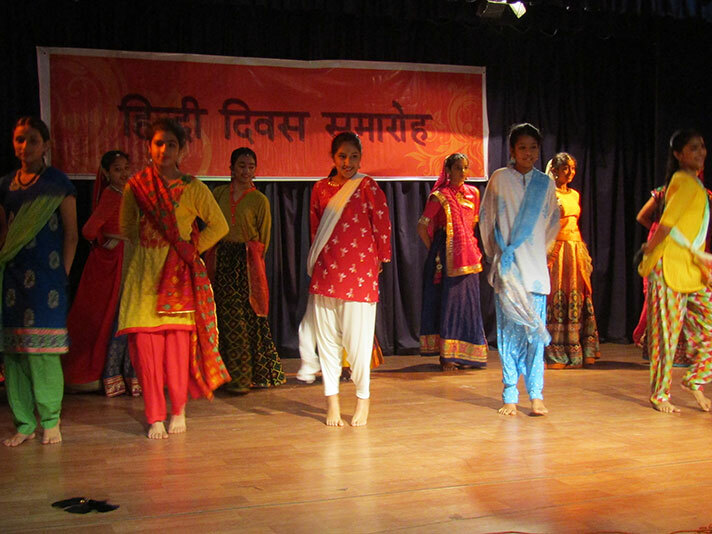 Following this was an enthralling dance by the students of classes 6 to 8 showing that even though India is divided into various states, languages and ethics, in the end it is Hindi which brings all these cultures together. 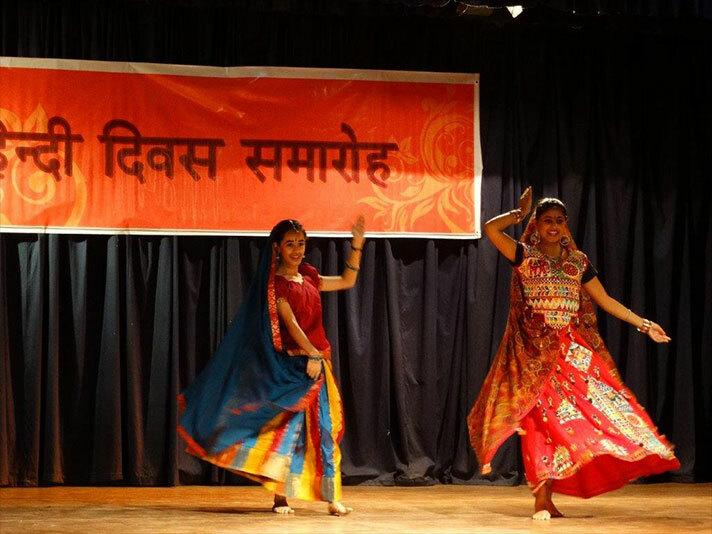 Spectacular dance on the song ‘Ghoomar’ came next. 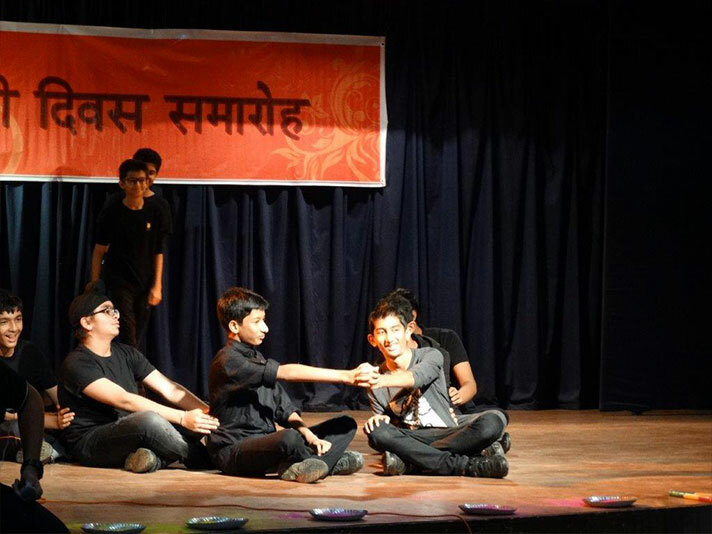 Nowadays it seems like most of our acts are driven by what can be captures in selfies and posted on social media. 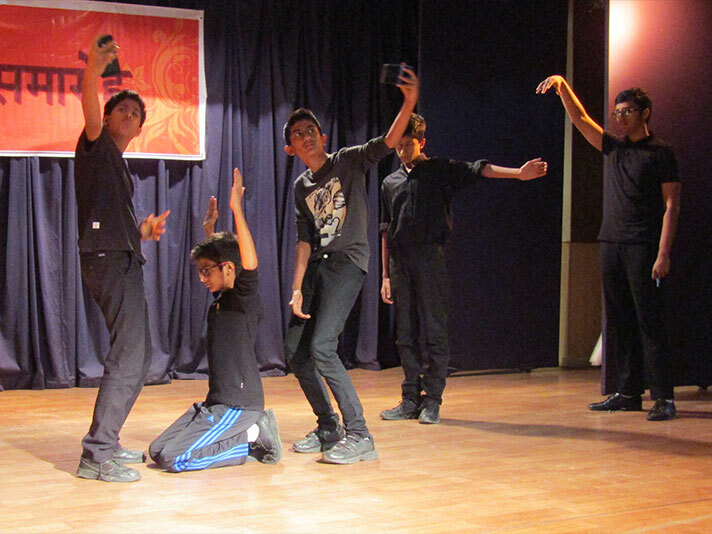 The audience was captivated by the mime depicting this increasing menace of selfies. 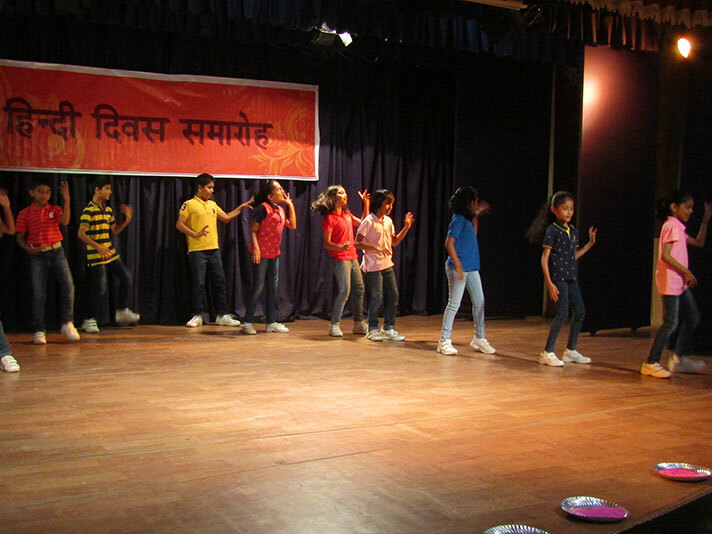 The melodious singers and notable instrumentalists mesmerized the students present with the songs ‘Sapne Re ’,’Hai Junoon’ and ‘Khwabon ke Parindey’ The lively, cheerful and heartwarming dance performance by tiny tots of class 3 got us tapping our feet. 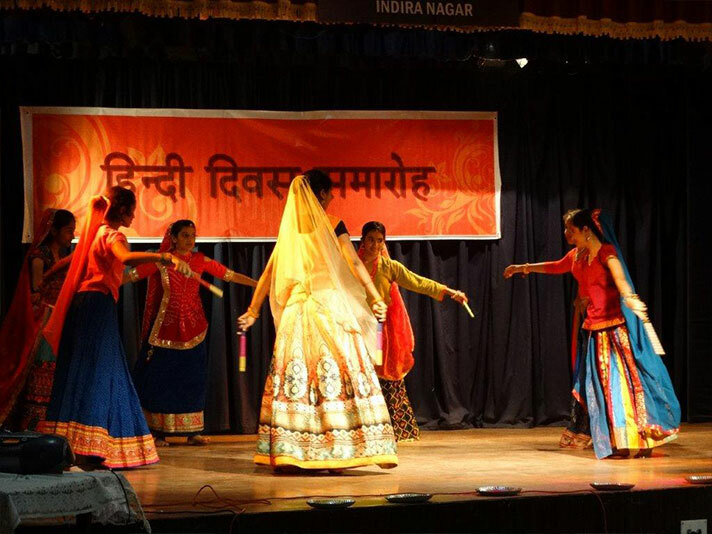 With this performance, curtains were drawn on 2018’s Hindi Diwas celebrations with a lasting impact on the importance of Hindi.